"A "must class" for those whose cancer treatment has ended. It's an answer to "What Now?" Breast Cancer Survivors face a unique set of challenges, concerns and emotions. These all female groups have been beneficial as participants share similar experiences. This class offers guidance, education and support for women diagnosed with breast cancer. Breast cancer can be overwhelming. It can shake our understanding of ourselves and who we are. It can take our confidence in the future and diminish our sense of self. And you have survived all of this. Now it’s time to begin the next phase of recovery. In A Time to Heal, you can discuss and learn about many topics, including those specific to breast cancer – surgery, treatment, lymphedema, etc. You will sit among others who have been on the same journey and understand what you are going through. The class is designed specifically for breast cancer survivors and is offered in most locations. It is open to women diagnosed with any form of breast cancer with any length of survivorship. If you have completed surgery/chemotherapy/radiation following first diagnosis, and your health is stable enough, we invite you to enroll. If you have recurrent or metastatic disease, you are also welcome to attend if your health permits. So whether you were diagnosed this year or fifteen years ago and when you feel you could use support, we invite you to consider this program. Weekly education will explore topics such as nutrition, supplements, coping, anxiety and depression, relationships, exercise, spirituality, sexual functioning, happiness, relaxation, and mental attitude. Women who have been diagnosed and treated for breast cancer are eligible to participate. If this is a first diagnosis, we suggest you wait until your treatment is completed. If you have a recurrence or your cancer is chronic, you may participate if you feel well enough to attend. If you are considering reconstructive surgery, please enroll for A Time to Heal during a 12-week period when you won’t be having any of your surgeries. Women with additional serious health issues may not be eligible. 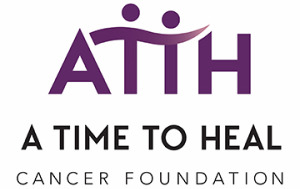 A Time to Heal is FREE to participants thanks to generous support from our sponsors and benefactors. The only cost to you is your time and commitment. Give this gift to yourself, contact us today. For more information on locations and class dates, or to register, please click here.